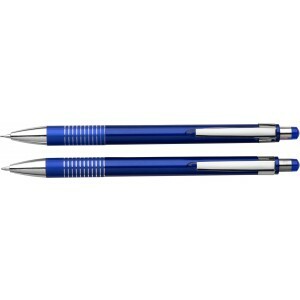 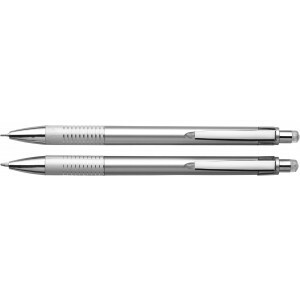 Aluminium and plastic ballpen with blue ink and pencil, supplied in a translucent presentation box. 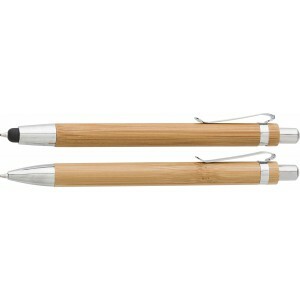 Bamboo pen set in cardboard box with sleeve, consisting of a click-action ballpoint pen with stylus and a mechanical pencil, blue ink. 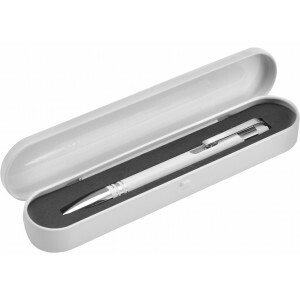 Aluminium ballpen with silver metal trim and black ink in a matching coloured tin box with black foam inlay.